Using the Tao Te Ching as your sole source, define how power is defined for at least one of the three schools of Taoisms: Efficient, Augmented, or Vicarious. Your initial response should supply a quote from the text as well as your analysis. When responding to another’s response, you should either support or argue against their interpretation by utilizing a further quote as well as supplying more analysis. This quote represent the Efficient Power which is the philosophical path of Taoism. In it they try to teach how to conserve the te which is the virtue or the power by people are ruled whereas the other trying to increase it. For it that path expanding power efficiently. Is the one of the three path that can be used easy in ordinary life. In this quote they explain that all the things bad and good are complemented and for understand and like that good things you need to know the bad first. Also they teach you to life in the present not in the future or the past with the last sentence, and to don’t be mean with the things that you do good, share it with more people and make more people happy. 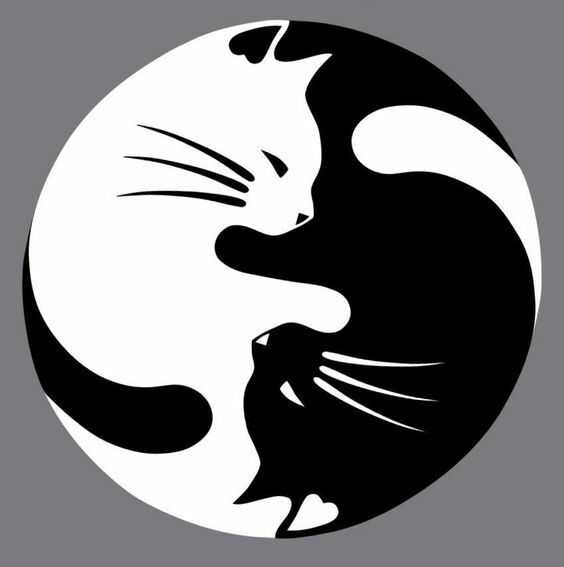 The Tao isn’t just the embodiment of good and evil, it is the embodiment of opposites. The realization that everything is connected and something is nothing without its opposite. Now that I read that again I think that you have reason; but the point that I wanted to explain was that to know better something you should know first its opposite. And I think that it is a good example to explain bad and good because if you want to know how good things feels you should understand first how bad things do it. I think that this quote, maybe explain better one of the points that I tried to explain and also what you correct about it. To understand good you have to understand evil, because that make the balance possible. The universe need the opposites to because it try to find the balance and if you try to change it doing more good things some else is going to do bad things about it, or if you find more answer about the universe, more questions will appear. In passage 23 of the Tao Te Ching it says that the path to power is a path of acceptance. Like the great river life will take you where it wants. You can fight it but you will get tired and it will take you down river. When you are accepting of that great river that is life, when you are at one with the virtues of it and at the same time the loss, they do not appear as surprises. One who accepts lose never truly loses, and one who accepts virtue is always virtuous. One who doesn’t fight the river but uses it and flows with it is one with true power. When you are on with life you are at one with the true power of it. I like your explanation of Tao and life and how you say that life is a river and we flow we are going to find a great power and it will be better that if we try to fight against the river. These quote explain the same, the Tao is everywhere, and everything depends of it, but it isn’t it’s lord; although he isn’t the lord of everything, it is great and everything come back to it, because it is truly great. That are the reasons why I think that these quote complete what you explain about the river and life. Yes I agree. The Tao does not have an agenda, it does not seek to accomplish things it just does. It is simply the bigger picture. It is your life and all things around you and their flow. Using the supplied excerpt of the Bhagavad-Gita provided, consider the above quote while answering the following prompt. Your response should cite at least three examples from the text and demonstrate your knowledge Hinduism. What, according to Krishna, is the proper mode of human action (karma)? How is the relationship between action (karma) and duty (dharma) discussed in the poem? Buddhism is a religion, philosophy and way of life that stresses the renunciation of self.The Buddha sought to help lead others to the path to enlightenment by proclaiming the Four Noble Truths and the Eightfold Path as the basis to achieve Nirvana Thus, Buddhist literature such as The Dhammapada constantly echoes these elements as a guide to becoming awakened. For this blog, students will read the selection of The Dhammapada provided and using evidence from this sacred text discuss why and how “self” needs to conquered utilizing their knowledge of the Four Noble Truths and the Eightfold Path. Using the supplied excerptfrom the Analects provided, consider the above quote while answering the following prompt. Explain how the twin concepts of jen and li, which are often said to constitute the basis of Confucianism are reflected in the above quote and in the Analects. Your responses should cite atleast three examples from the Analects to demonstrate your knowledge of Confucianism.